It’s the most magical time of the year: lights are twinkling, kids are caroling, and business is booming… right? If you’re not seeing the sales numbers you wished for this year, your website might be to blame. We’ve touted the importance of SEO audits before, but there’s no better time than years-end to audit your site. We’ve talked a little bit about SEO audits before, and how an SEO professional can help you make the most of your web presence. But how important are SEO audits to small business success? Very. Think of an SEO audit like a well-check visit or a check-up with your doctor. Even if you’re not sick, it’s important to have regular check-ups to catch problems before they get serious and to measure your overall health. An SEO audit does the same thing for your website: catches problems early and measures the overall rank-ability of your site. An SEO audit looks for potential and existing problems with the functionality, UI, layout, and content of a website in terms of what search engines look for when ranking results. By comparing the website to known SEO criteria, the auditor can determine how friendly the site would be considered by search engines and what areas need improvement or replacement. An SEO audit can be performed manually by you or an SEO professional, or it can be done using one of the many SEO auditing tools available online. Manual audits are the most effective, as they give feedback specifically about your site, rather than the generalized advice provided by the auditing algorithms of the tools. What kinds of problems do SEO audits find? An SEO auditor will look at several factors to determine which areas of your website need improvement to give you the best possible results. Many of these are content-related (i.e. page titles, URLs, meta descriptions, and unique – and properly keyword-infused – page content). Poorly grouped or formatted content, including text, ads, and images, can cause serious rank reductions in search engines. Hidden text plays a major role in high-ranking SEO, so the HTML and subtext of your content and site will be examined for any issues, such as missing or inappropriate subtext or broken scripts. How often should an SEO audit be performed? On-site SEO audits should be performed at least quarterly, especially if you (wisely) employ a strategic linking strategy and regularly update your content. Small errors in code, formatting, and broken or redirected links can pop up when you least expect them, and it’s much easier to fix these issues early than to repair the damage to your rankings they will have. And, as you become more well-versed in correcting SEO mistakes, you’ll make fewer of them in the future. Regular professional SEO audits also inform you of any new criteria for SERP ranking so that you can adjust your approach as needed. If you were due for a well-check visit, would you have your friend look you over to save a few bucks, or use WebMD and Google to diagnose yourself? Of course not; you’d make an appointment with a medical professional. Shouldn’t you give the health of your business the same consideration? The SEO experts at Little Egg Solutions have worked hard to understand SEO ranking factors and to learn to identify potential problems. Contact us today to find out how we can help keep your site (and thus, your profits) in tip-top shape. 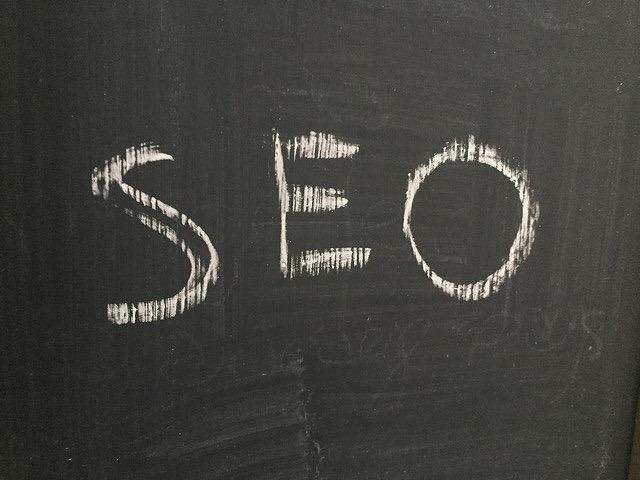 e’ve brought up (repeatedly) that SEO is vital to website health and SMB success in the modern world, but it’s an ever-changing game. There are always new techniques to master, new metrics to watch, and new criteria to fit into your site to make your SERP rankings soar. The world-wide web is a big (and, frankly, sometimes-scary) place. 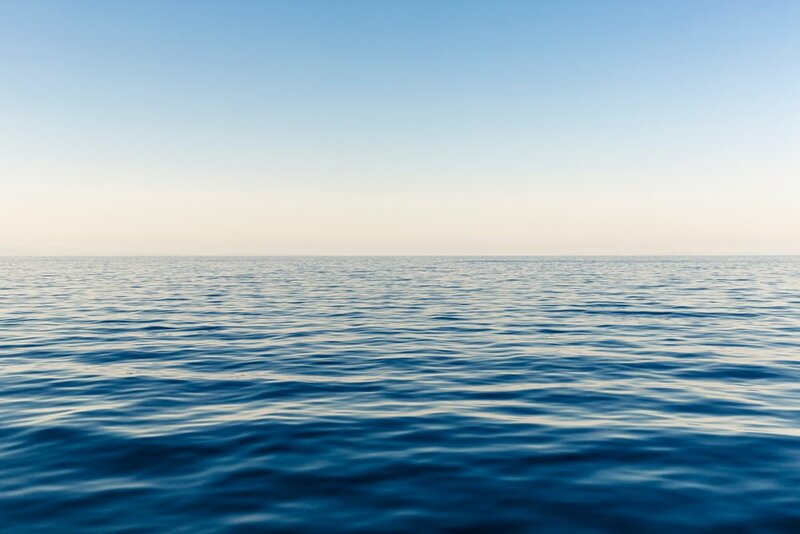 At Little Egg Solutions, we are a small firm specializing in web-based marketing strategies for other small and medium businesses, so we know how vast that ocean can seem to a little fish used to a much smaller pond. For entrepreneurs who are just beginning to branch out into the digital marketplace, it may be tempting to take shelter under the eaves of a larger conglomerate site. Many parent organizations and agency associations have shiny, professional sites that their partners and agents can use, like a real estate company who lists all of its agents, to get their name on the net without all the hassle of purchasing a domain name, building a site, formatting HTML, et cetera. We know, we know; it seems like a logical way to find the eyes of potential clients. After all, why would they be on the site if they weren’t interested in the services provided? Plus, you’ll be benefiting from all the traffic these major sites receive while they do the marketing legwork, right? Wrong. Yes, those sites get tons of traffic. Yes, those visitors are probably in the market to buy what you’re selling. But that doesn’t mean they’ll be buying it from you. Huge conglomerate sites are complex: built with pages upon menus upon more pages. For your prospects, finding your name in the (admittedly smaller) sea of service providers contained therein is almost like finding a needle in a stack of needles. Besides, what if you leave the brokerage or agency that’s featuring your page? Your web presence disappears, that’s what happens. You need a separate, distinct island in the Internet Ocean with a bridge back to the mega-site (in the form of links) to set you apart and truly reap the benefits of your association with the organization’s web presence. Personal branding is important for business success in today’s world. People want to buy from (and sell through) people, not faceless corporations. Also, people like to buy from people who have experience, and the more positive, professional, helpful information they can find in their search for someone who can help them, the better. By building a separate site for your business, you get your name on the web on your own terms and dictate the content and character of your personal professional brand. Your presence online is not reliant on the favor of any other organization, but you can still link back to the organization’s provided page for increased credibility. It’s a win-win. But I don’t know how to make a website! You can use any number of hosting sites, like WordPress, to create a simple, professional website with their templates. Or, even better, you can hire someone to do it for you, and remove the headache completely. At Little Egg Solutions, we can build a perfect, personal website for your individual business needs. Contact us today to find out how we can add a little distance and distinction from the herd to your web presence! At Little Egg Solutions, we believe in helping small and medium business owners have a healthy, profitable web presence. In that spirit, we’ve set up a 12-step program for rehabbing your SEO practices and setting goals. You can do one a month for a year, or break them into bigger chunks if you’re feeling more ambitious. 1. Get to the Core – What’s Your Purpose? In order to decide what action steps you’ll need to take further down the road, you need to define what the purpose of your website is. Do you want to attract leads? Sell products? Generate ad revenue? You’ll need to know what your end-game is to get your short-term goals in place. 2. Identify Your Audience – Who Are You Trying to Reach? This may seem like a no-brainer, but many small and medium business owners don’t define their specific audience before designing or optimizing a site. While there are some nearly-universal design principles and content keywords, you’ll need to tailor your content to some degree for any targeted audience. 3. Keyword Matching – Which Words Will Work for You? Once you’ve identified your purpose and your audience, it’s time to figure out which keywords are best for your site. The right approach will vary based on what you want your site to do for you and who you want to see it. 4. Scope the Competition – Who Are You Trying to Beat? When breaking into the online scene, it’s important to understand what you’re up against. Scope out your direct industry competition and take notes. See which strategies and keywords are common to industry leaders and which options seem to be problematic for less successful sites. 5. Schedule an SEO Audit – What Are Your Weaknesses? A professional SEO audit for your site can tell you exactly which aspects of your strategy are going to cause a problem for you going forward. It’s best to hire a professional rather than using an online audit tool – you’ll get tailored action steps instead of general advice. 6. SERP Results – What’s Your Rank? One of the main action steps you’ll want to pursue, no matter your niche, is improving your ranking. Use the data provided in your SEO audit to optimize your content and boost your SERP position. 7. Clean Up Your Code – How’s Your HTML? Little coding errors can cause big problems when it comes to SEO. If you went with an amateur web designer or a DIY generator to save a little cash, you may need to do some code cleanup to make your site more search engine friendly. 8. Drive Traffic – Are They Looking? If your website is fantastic, your code is stellar, and your content is optimized, what good does that do if no one sees it anyway? Work on driving traffic to your site with your stated purpose in mind. Share your content across different platforms and bring as many “maybes” to your page as you can – the more eyes who see your site, the more you’ll have a chance to convert. 9. Convert Your Prospects – Will They Buy What You’re Selling? The goal of any profit-based business is to actually turn a profit. In order to do that, your web presence has to actually convert “maybe” prospects into definite buyers. Focus on increasing conversion rates with targeted marketing campaigns. 10. Increase Engagement – Are They Loving It? Now you’ve got their attention. They’re on your site, they’re ready to make the leap from prospect to buyer. How do you build on that? By giving your loyal buyers and new prospects alike something to love, rave about, and share with everyone they know. Engaging content marketing and social media strategies build on your success in steps 8 and 9 organically. 11. Build Your Brand – Do They Know Your Name? Branding is crucial in today’s digital marketplace. Consumers want to buy from brands they trust. No matter what your approach entails, branding should be a major component of your strategy. Social media and cohesive content marketing make this much easier, so build on your success in step 10. 12. Profit Margins – What Was Your ROI? The tell-tale sign of a successful SEO strategy is a profitable return on your investment. Evaluate your profits and what parts of your original strategy have worked the best. Do you need to tweak your approach? Were there any costly mistakes you know you need to avoid repeating? That may seem like a lot of work, and that’s okay. It is a lot of work. Luckily, you’ve got a friend in the SEO business that just wants to make your life easier. Little Egg Solutions is here to help; contact us today to find out how! Hashtags are an integral part of effective social media marketing, from Facebook to Instagram to Twitter. But how do they work, and, most importantly, how can you make them work for you? If you’re just starting out on your #SMM journey, our social media experts at Little Egg Solutions want to help. We’ve put together this handy guide to finding and using the right hashtags for your business. Let’s start with the #basics. Hashtags are relatively new in the marketing world, so you may have some questions about these little blue links with a pound sign that seem to be everywhere. Don’t worry, we’ve got you covered! 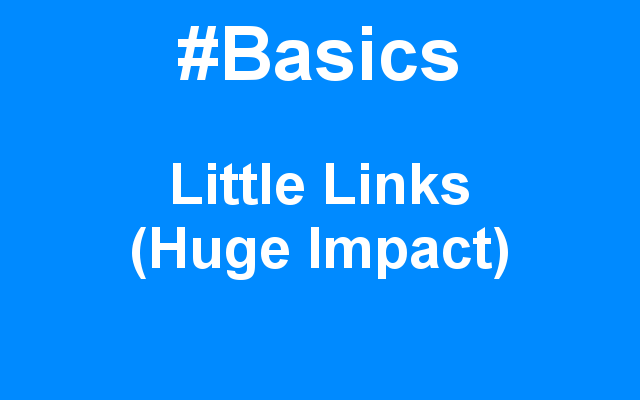 Hashtags are short, searchable links that are used to tie together related content from multiple sources. They can include numerals or letters, but generally no spaces, and it doesn’t matter if they are capitalized or not. Hashtags can be anything as long as it fits the character restrictions of the platform you’re using (Twitter has a limit of 140 characters per post, but you can “hashtag” an entire blog post on Tumblr). Think of them as keyword shortcuts. When users click on the hashtag, they can see every use of that tag in real time to easily find related material. A “trending” hashtag is one that shows up repeatedly across the platform. For the purposes of social media marketing, there are three kinds of hashtags that matter: industry, local, and branded. Other types, like content-specific (#art, #gardening) and humorous (#TGIF, #whydidyoudothat) can be added for variety and flavor, but those three are the main ones you’ll be using. Industry tags, like #SMM or #massagetherapy tie your content to the rest of your industry. Be careful, though. These can quickly become overused, and your posts can get lost in a sea of industry-related content. Local tags, like #BoiseRealEstate or #SoCalTechnology can generate local search results, but they may trend less often than industry tags. Branded hashtags are entirely new hashtags created by you specifically for your business. Successful branded hashtags often make use of slogans and other brand recognition tools. They can be a great way to gage response to a new campaign and to encourage engagement. Why is it important to use the “right” hashtag? Hashtags are a tool that allows businesses to organize their content and reach the eyes of people already looking for it. However, if you use an ineffective or inaccurate tag, it can be as bad, if not worse, than using no tags at all. If you use a tag with too little traffic (unless it’s a brand new branded tag), you may not get enough engagement. Too much, and you get lost in the background noise. Too few, and you may not reach your audience; too many and you may turn your audience away. If your tags don’t relate to your content, you may disappoint your followers, and if they don’t relate to your industry, you may confuse potential leads. Using hashtags successfully is about finding a balance; for that, you need a plan. Here’s our simple formula for finding the best hashtags for your business. 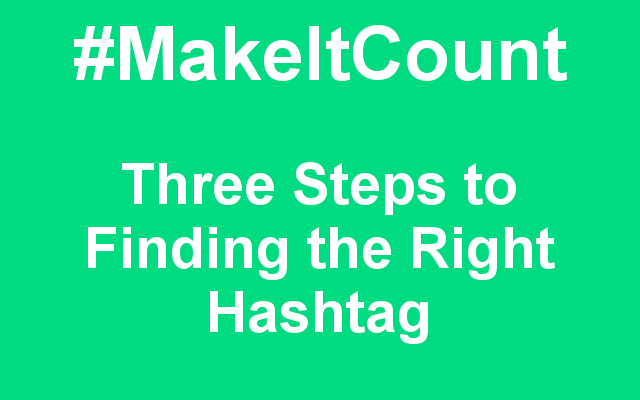 Follow the plan, and you can #MakeItCount for every post! Sit down with a pen and paper and make a list of hashtags you think might work for your business in general, and repeat the process when you write a post. Make sure you come up with a few of each type of hashtag, so you have some go-to options if you’re ever stuck. Remember: they’re like keywords. Search for trending keywords in your industry with online tools. You can even search specifically for relevant keywords with tools like Hashtagify.Me. It’s also a good idea to look at the hashtags that leaders in your industry are using, and try to incorporate them into your list. Before you add hashtags to your post, search for them on the platform you’re using. If you’re overwhelmed by the results, it’s probably used too often. If nothing comes up, you may need a trendier tag. After you publish your posts, keep track of which hashtags do best and file them away as your “contingency tags” for when you have no relevant, accurate tags. Research how many tags you should use for each platform (it varies) and find a balance that works for your content. Coming up with creative tags that set you apart while also finding existing tags that tie you to others is hard work. It’s like adding a two-fronted battle to an already full schedule of entrepreneurship and customer service. We get it, and we’re here to take it off your hands. Our social media marketing experts at Little Egg Solutions know how to hashtag #LikeAPro, and we want to help you grow your business. Contact us today to find out how we can #MakeItCount for you! Social Media Marketing is an important factor in the success of small and medium businesses in the Digital Age. But there is another, equally crucial purpose in having a strong social media presence: business networking. While social media enhances your global reach and widens the “net” of your network, it’s important not to neglect the proverbial pavement pounding that helps build connections and contacts on a local, regional, state, and even national level. At Little Egg Solutions, we understand that digital marketing and content are only one part of a successful strategy, and we’ve put together this list of benefits and tips for business networking, both online and in person. One of the major advantages of building a professional network is the opportunities that arise from networking with the right people. It really isn’t just about what you know; who you know matters when trying to grow your business or build lasting partnerships. A good connection can open doors that you would otherwise find shut tight, and reciprocity is the name of the game. Be willing to do favors for beneficial contacts, and they will repay you in kind. Check out your community’s networking opportunities! Your local Chamber of Commerce is a great place to start, but be sure to check out additional resources, like local or state business associations. They often hold events for members to meet and socialize to build your professional network organically. Another important benefit of business networking is the opportunity to learn from those who have stood in your shoes and made it work. Industry leaders know the importance of networking and they are exactly the right people to give you the secrets to success. The perspective and guidance of a more experienced leader can be the difference between repeating a common and costly mistake and finding a better way. Having trouble finding business networking connections on personal social media sites? Try LinkedIn instead! LinkedIn is a networking site specifically geared towards professional and business networking. It’s a great place to get your name out to the right people and build a beneficial network. Small and medium businesses thrive on local patronage. Building a professional network allows you to reach the eyes and ears of people who you might otherwise miss by drumming up support from your local community. It’s not just B2B connections and mentorships that you’re building when you add connections to your network – it’s lasting partnerships and potential leads as well. First impressions are sometimes the only impressions. Make sure you make a great one with a professional appearance and crisp, new business cards for in-person events and a clean, professional profile or page for online interactions. Books are often judged by their covers (even if we wish they weren’t); what will your or your page’s appearance say about you? 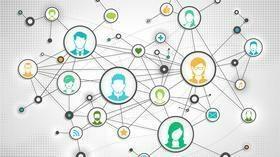 Just like marketing, in-person networking efforts are only half of the equation. A seamlessly integrated digital networking strategy, combined with face-to-face contact, will help you build your professional network and take your business to new heights. If it seems like networking is just one more thing you have to add to an already-impossible to-do list, don’t worry. The experts at Little Egg Solutions are here to help you reach your full potential. Contact us today to learn how we can lighten the load.